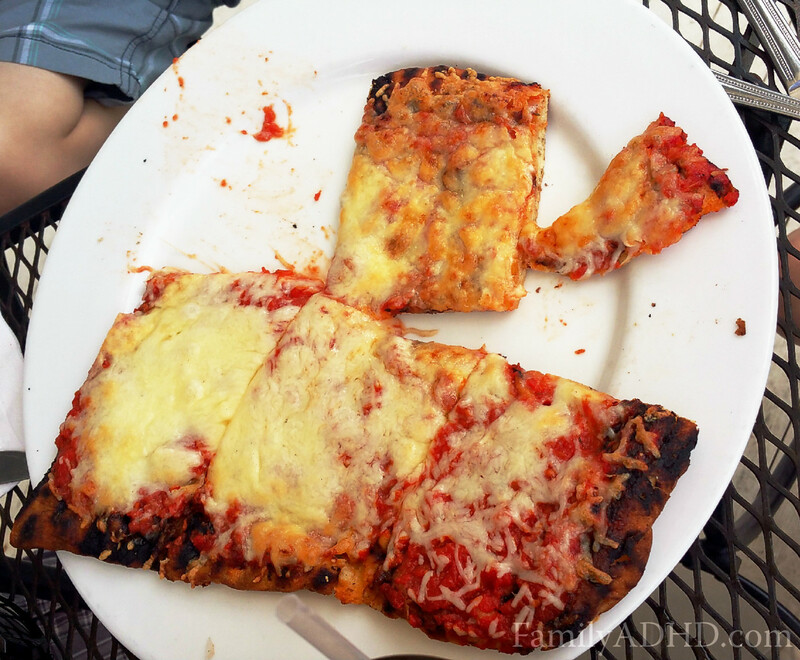 This review was completed by one of our younger bloggers, so please be kind! Seamus is a 9 year old with an adventurous palate and inquisitive mind who hopes to one day possibly pursue a career as a chef and marine biologist. In the meantime, he’s excited to share his thoughts and experiences with you on some of the foods we eat during our travels. 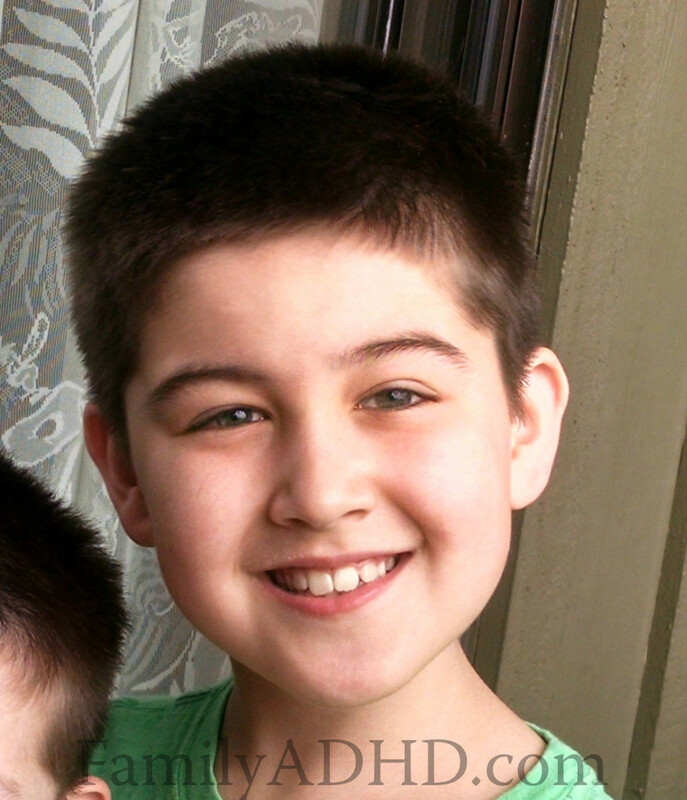 Although he has an amazing verbal vocabulary he struggles with executive functions (among other challenges), so he’s working to strengthen his writing and organization skills by putting them to good use on our blog in an area that interests him! 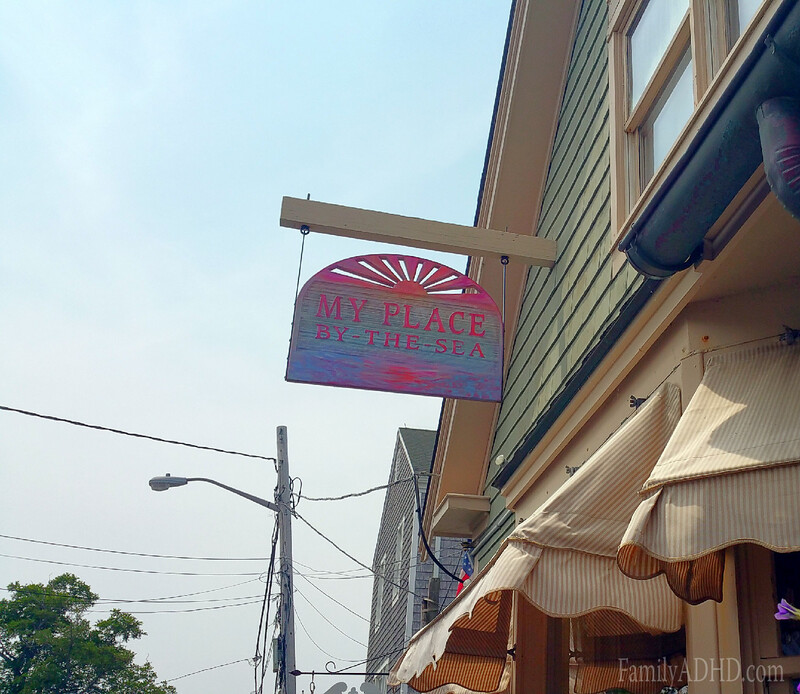 This place is located at Bearskin Neck and is fun to go to. 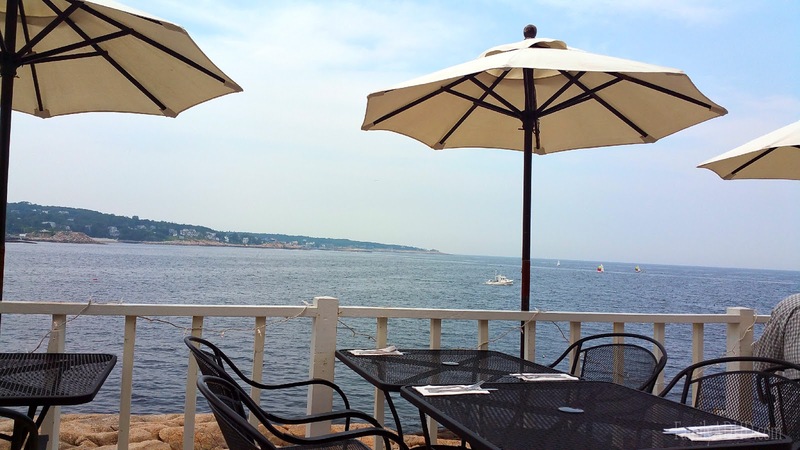 You can see the sea and boats catching fish while you eat. Check out their menu on their site. It looked fancy the way it was presented. It had paprika and a dash of oil on top. It tasted creamy. There was a good amount of potatoes in the soup and some onion. The clam was soft and not chewy at all. It was worth the trip because it tasted really good. It tasted kind of bland. It was a little burnt and needed thicker crust. No, not really for the pizza. This place has good food. It was fun to watch boats pass by the restaurant. You could even see people kayaking on the ocean as the tide came in. I think this is a nice place to go if you’d like a good lunch or dinner with your family or by yourself. Check back soon for our FamilyADHD picture-filled guide covering our personal Rockport favorites from our recent trip! Note: This review reflects our opinions and is not sponsored. When a kid tells me clam chowder is good imma eat it. No one in the world is more honest than a kid about food. Awesome job! 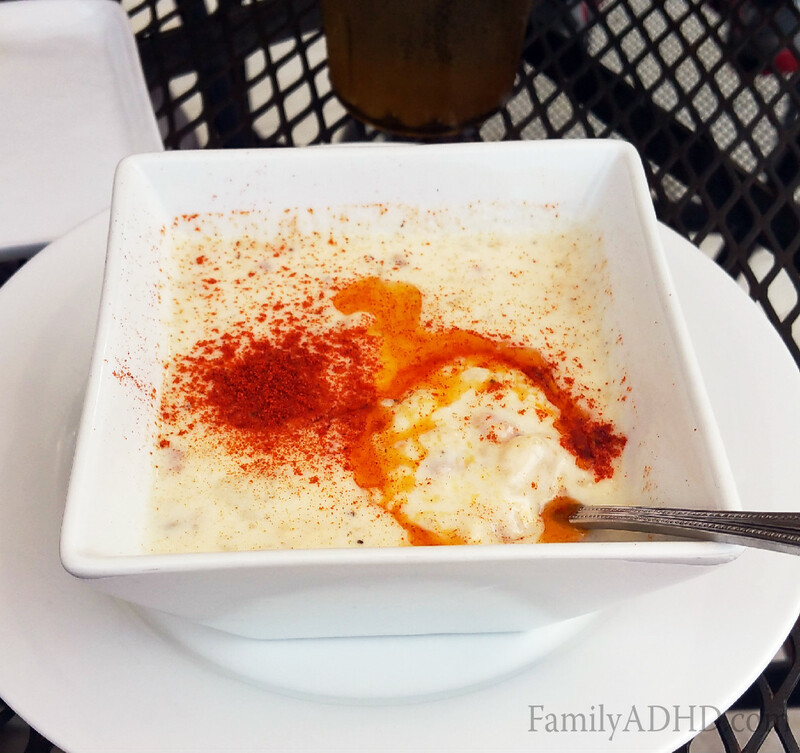 I LOVEEE clam chowde, I want to try it!! Gorgeous view and the food looks amazing! It looks like a very nice place to grab lunch!